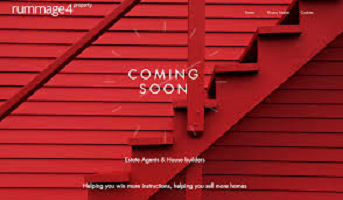 Launching next year, in the latest attempt in seeking to compete with the two biggest portals Rightmove and Zoopla is a new property portal named Rummage4Property. Countrywide and about 30 other estate agency groups including Barratt Developments, Bovis, Persimmon and Redrow have signed up to list their homes with the start-up. Anthony Codling, chief executive of Rummage4Property described it’s structure as a membership organisation, with agents and housebuilders able to vote on decisions such as any future sale of the company, explaining it will also aggregate links to home listings elsewhere online. Rummage4Property believes it can offer a listings service for just over a tenth of the cost of the fees charged by their competitors, while focusing on search optimisation to attract consumers hunting for homes in specific areas, rather than conducting advertising campaigns to promote the brand. In its latest half-year results, issued in July, Rightmove said a 10 per cent rise in revenues to £131m was partly down to membership fee increases in its agency and new homes divisions. Analysts at UBS added that “features of Rightmove’s model protect it from concerns over Brexit and competition”. They also claim that last month, OnTheMarket was luring some consumers from Zoopla, whose parent company ZPG was taken private by the US technology investor Silver Lake for £2.2bn this year. OnTheMarket and Zoopla have been working with Facebook to list their homes on the social network’s Marketplaces service. The House Shop, a smaller online marketplace for homes, this week also launched a Facebook partnership.